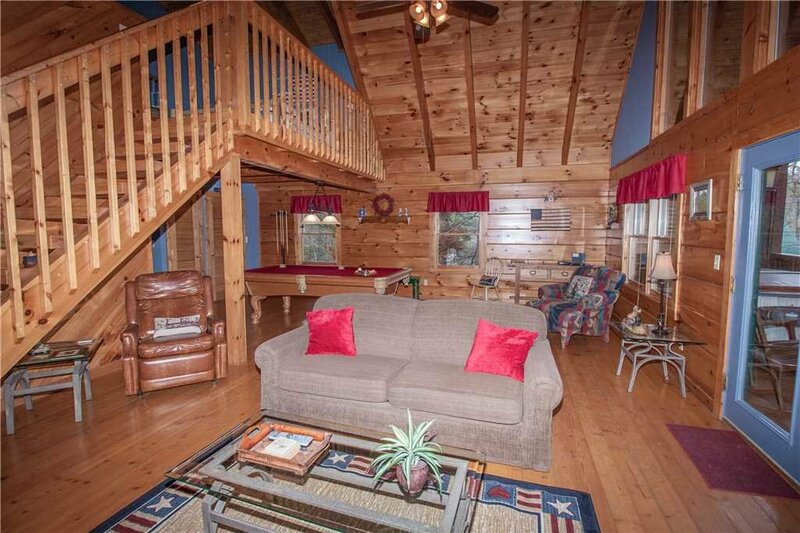 A bear sitting on a stump outside greets you at this cabin and you are welcomed throughout. 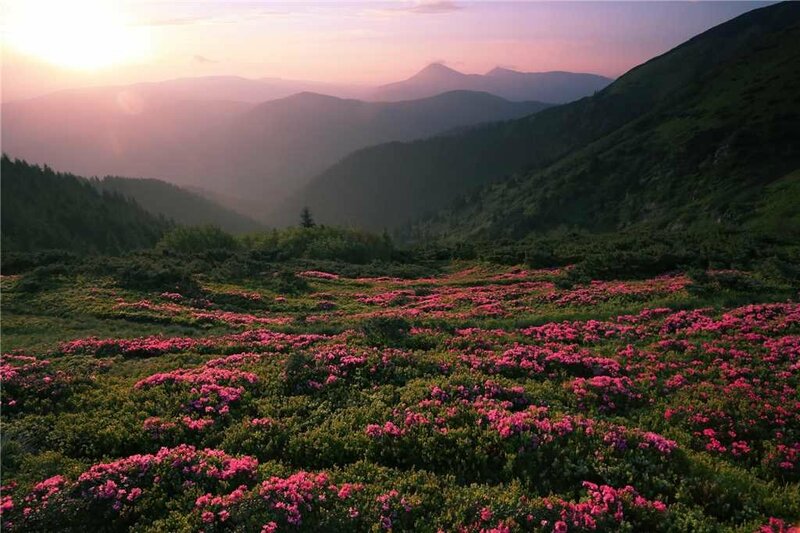 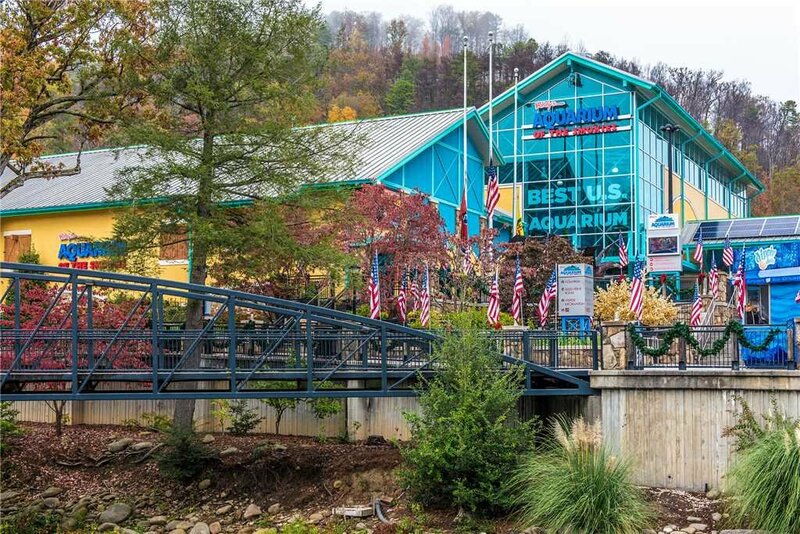 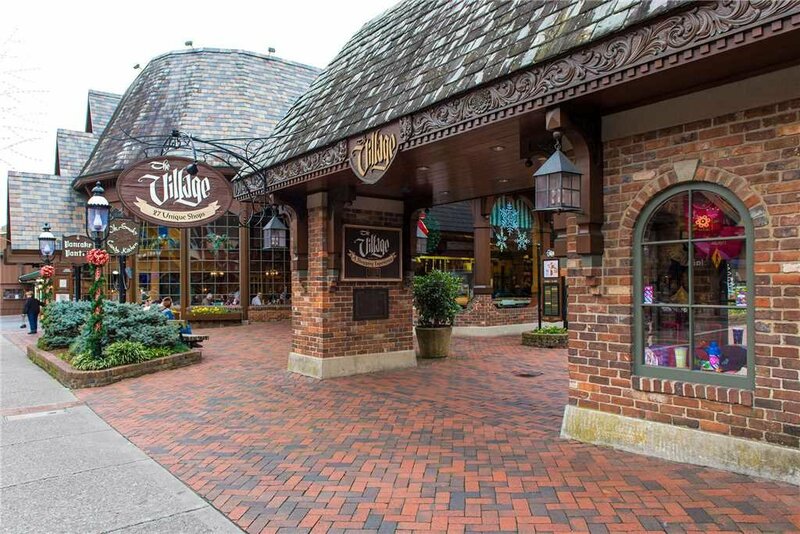 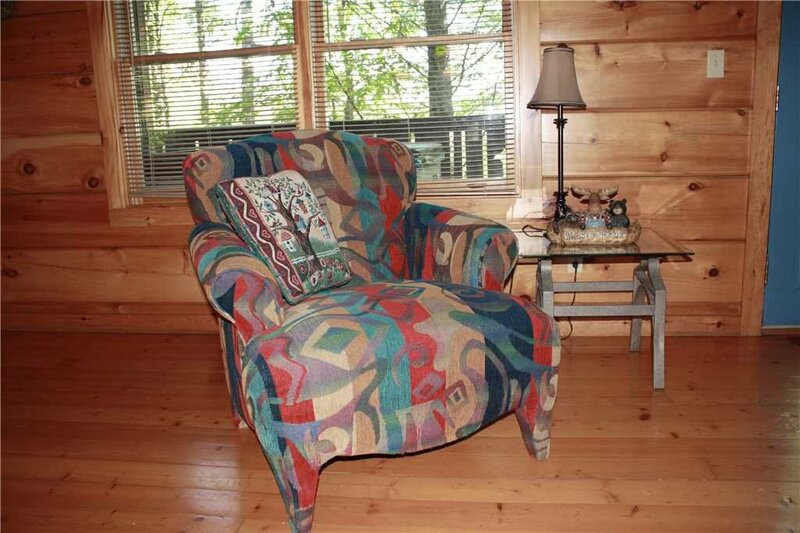 The owner has taken great care to make everything accommodating for the two of you. 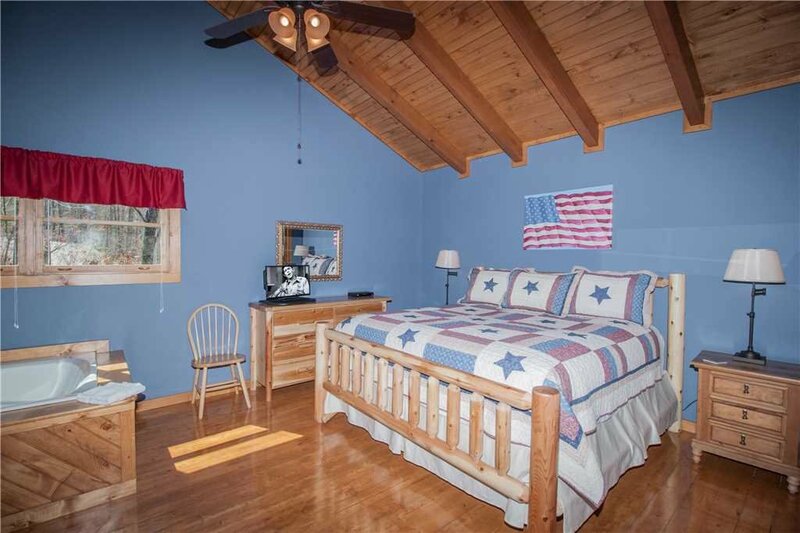 There is wood throughout, exposed beams and blue accent walls with an Americana theme. 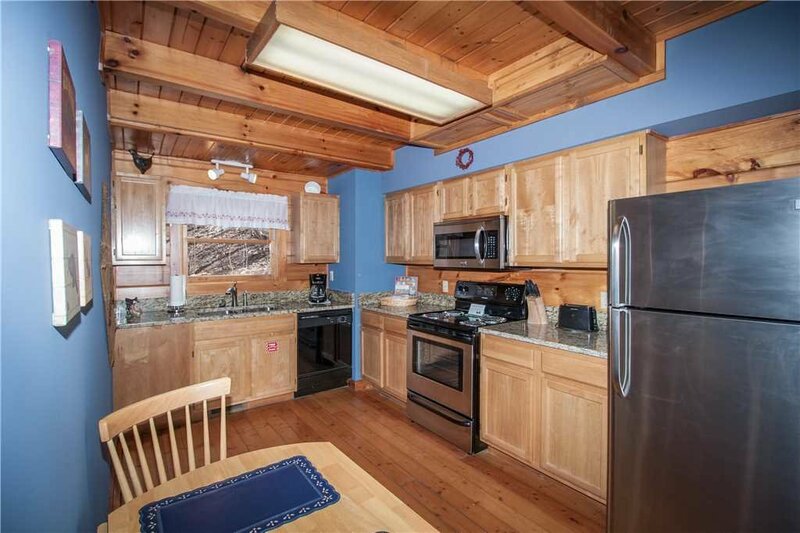 The fully equipped kitchen is to your right with a table for two that is perfect for a cozy meal. 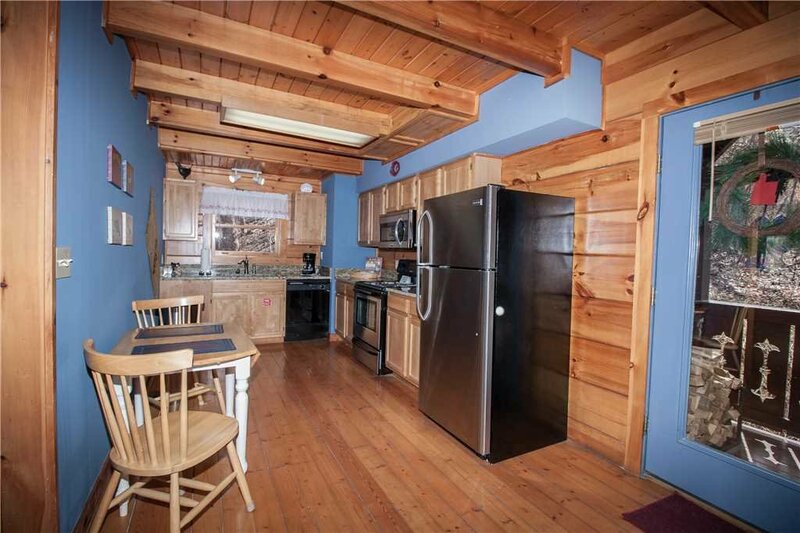 The lodge canvases show up brilliantly against the blue walls. 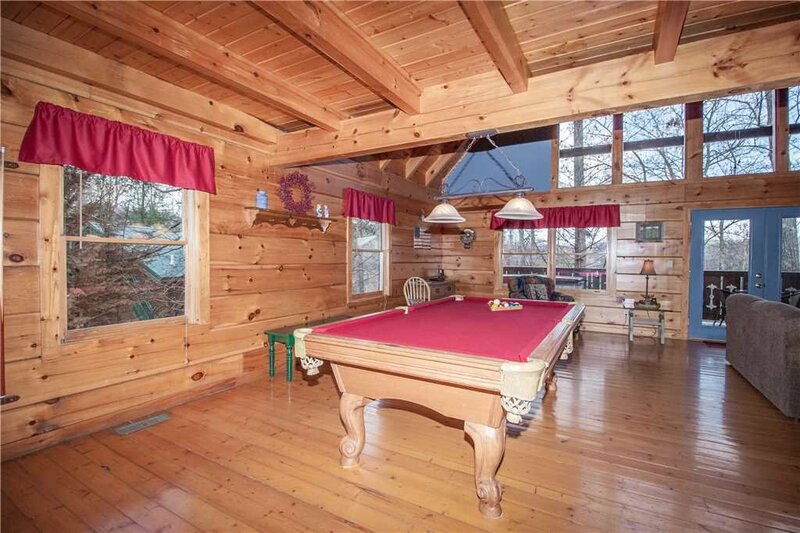 The game area is to the left and hosts a full sized pool table with carved legs and a stereo. 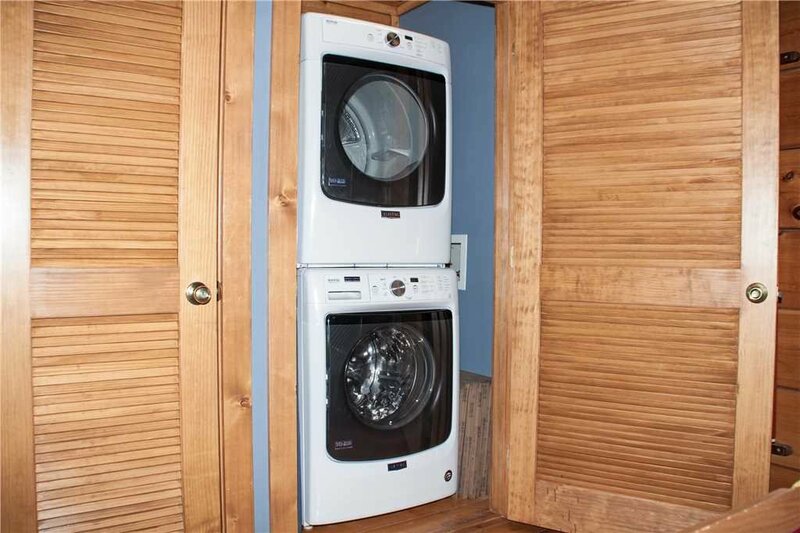 The laundry facility is stacked behind single door in this area. 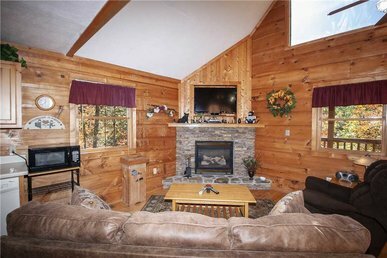 The adjacent living room has an overstuffed sofa that is ideal for relaxing in front of the wood-burning stone fireplace, watching TV or a cuddling up for a movie on the DVD. 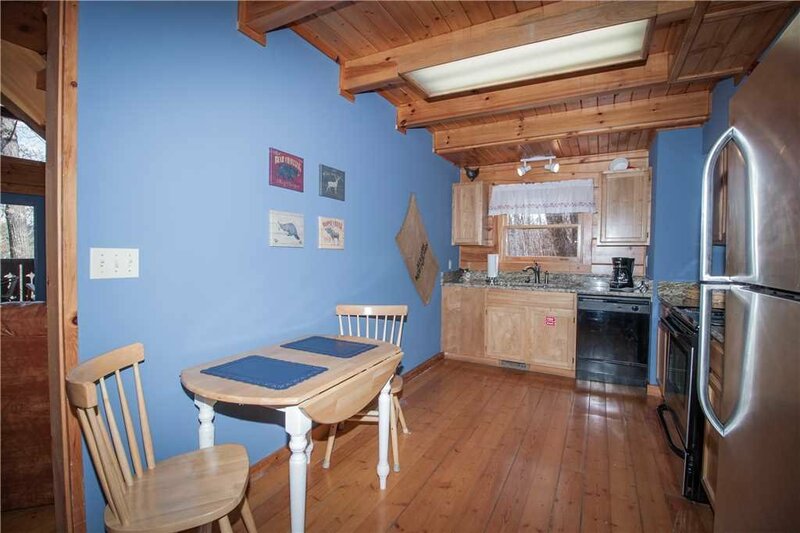 A large accent rug compliments the blue wall color and adds warmth to the room. 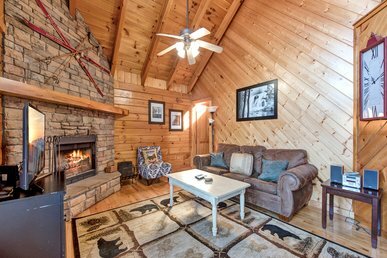 Tucked under the stairway is a comfortable recliner with extra pillows and a side table with lamp for curling up with a good book. 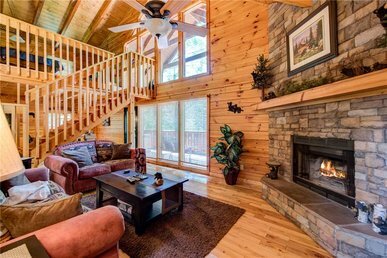 Exiting to the deck you will find carved railings and scenic views. 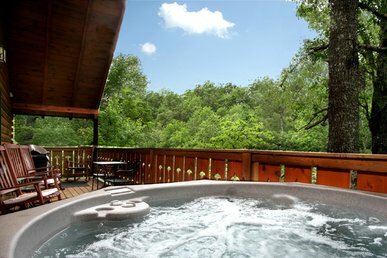 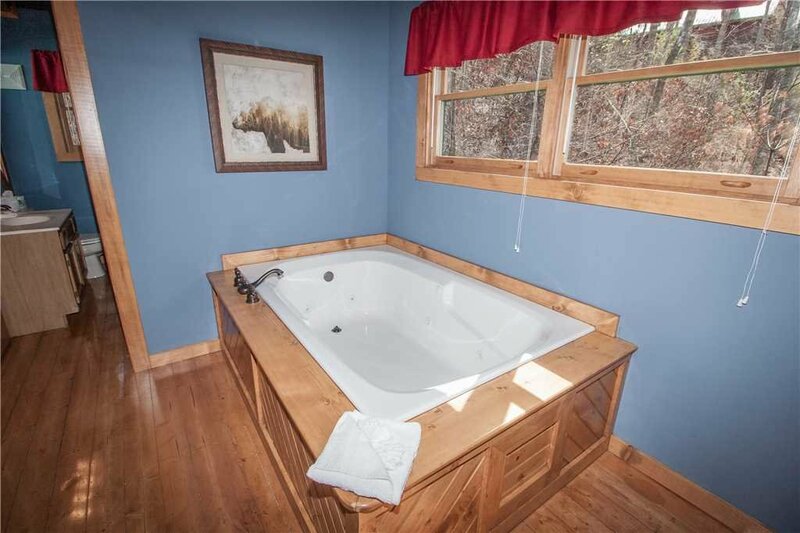 There are rocking chairs, a gas grill and a sure to be popular hot tub! 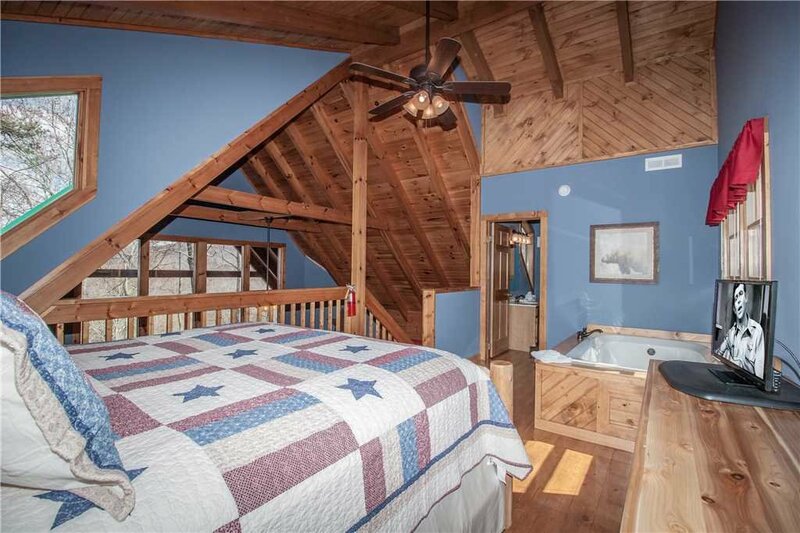 Back inside, the loft area has a king bed with a charming star patterned quilt and a Jacuzzi tub perfect for two. 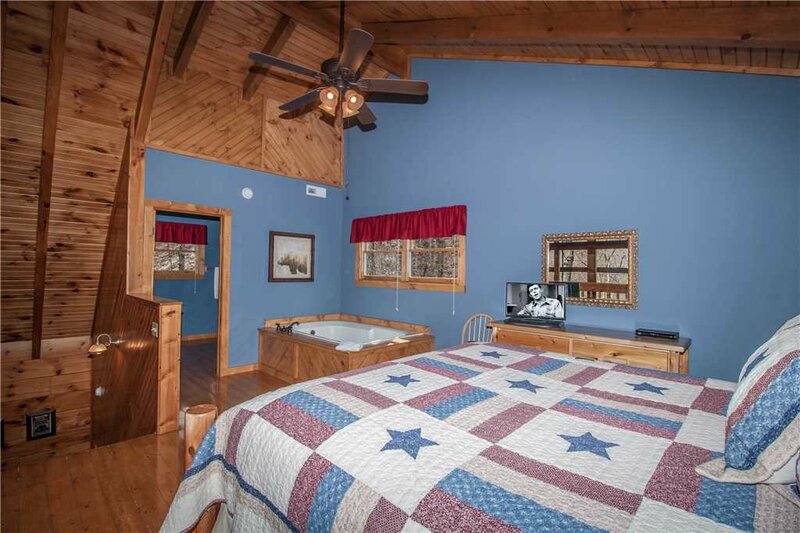 There is a large dresser for storage and two matching side tables with his and her lamps. 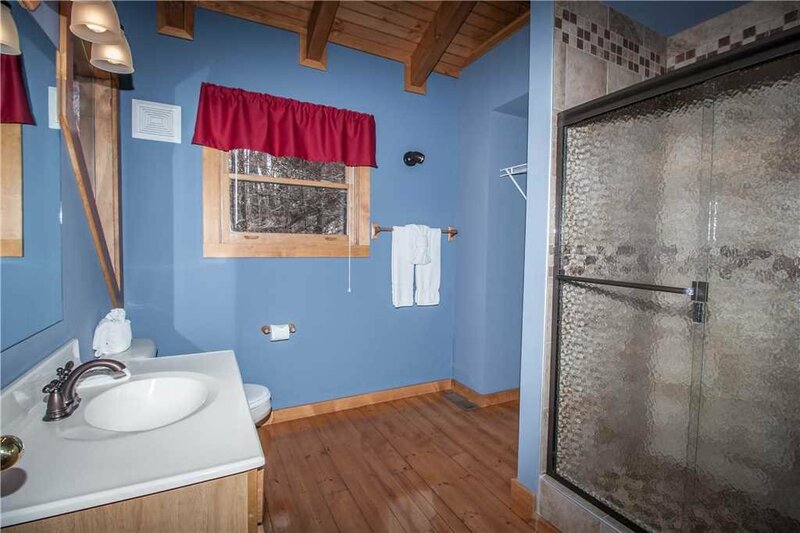 The master bath has a beautiful tiled shower and extra hanging space for clothes. 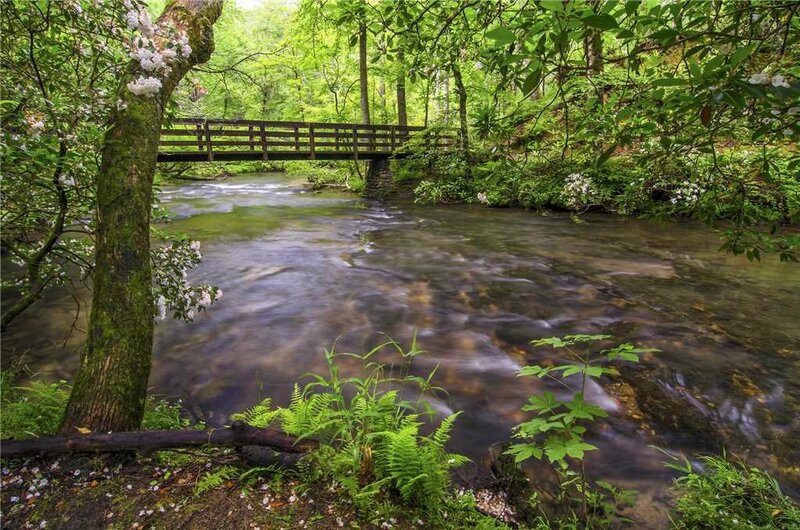 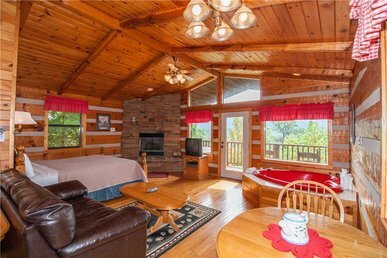 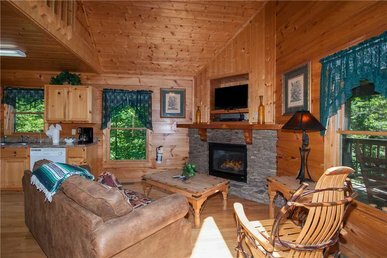 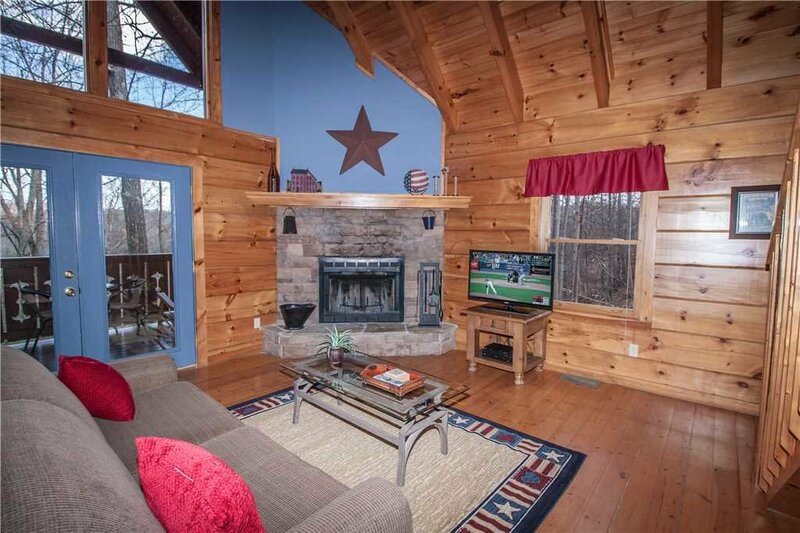 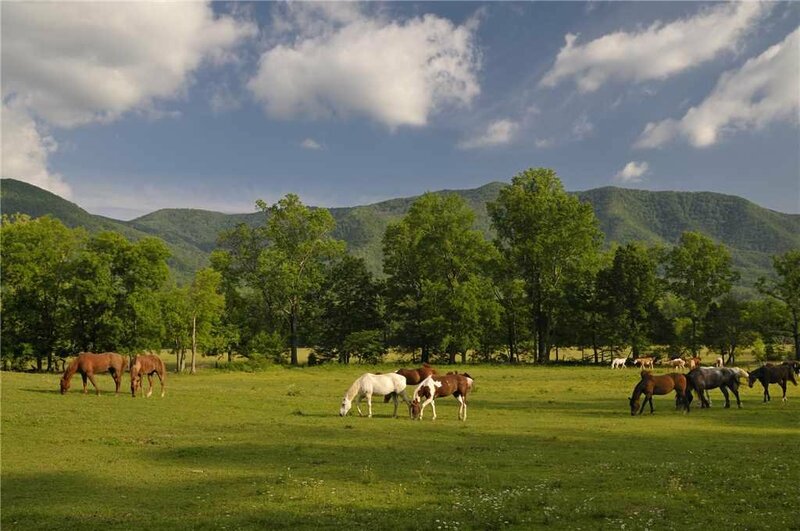 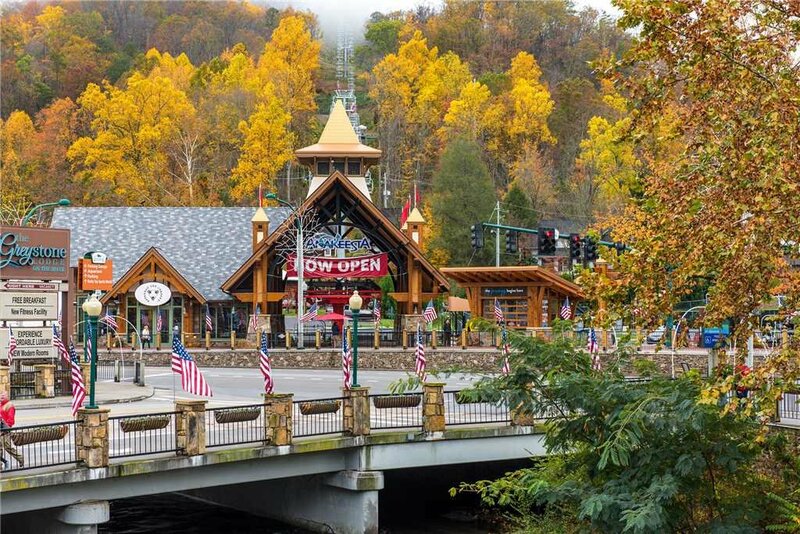 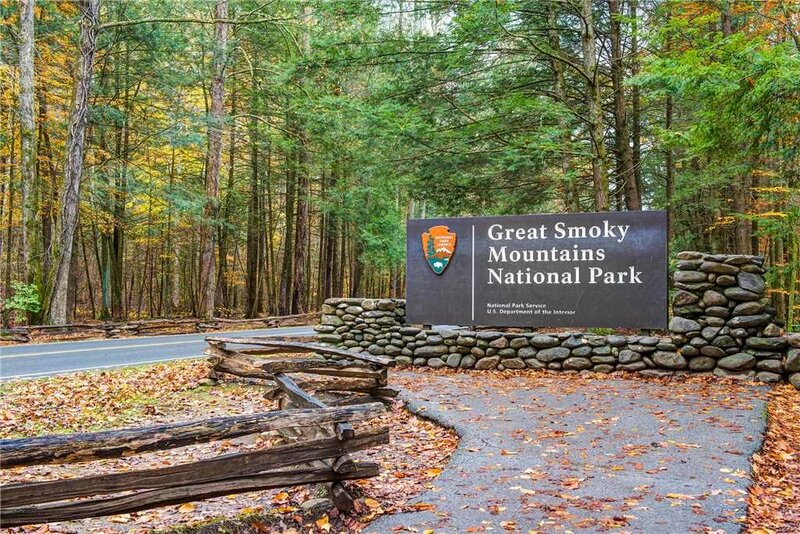 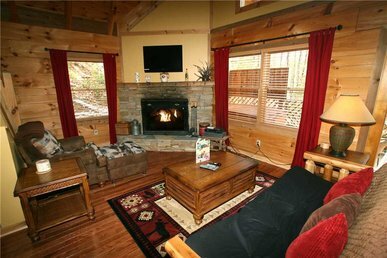 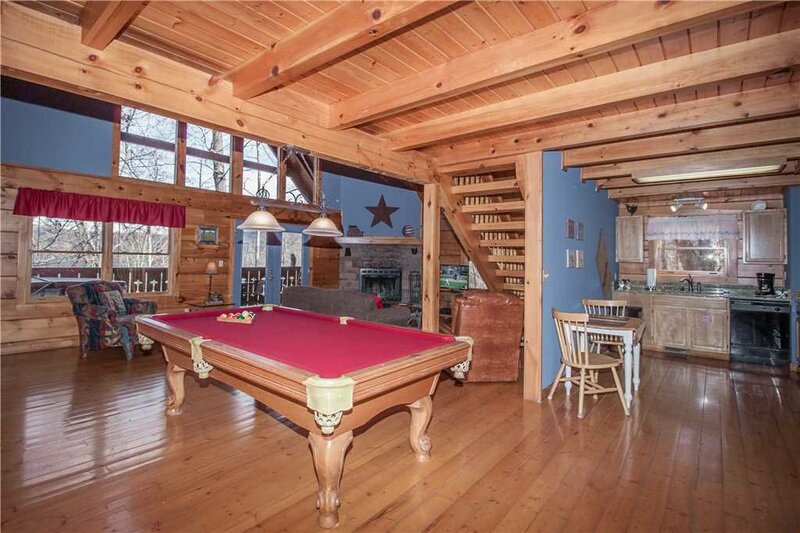 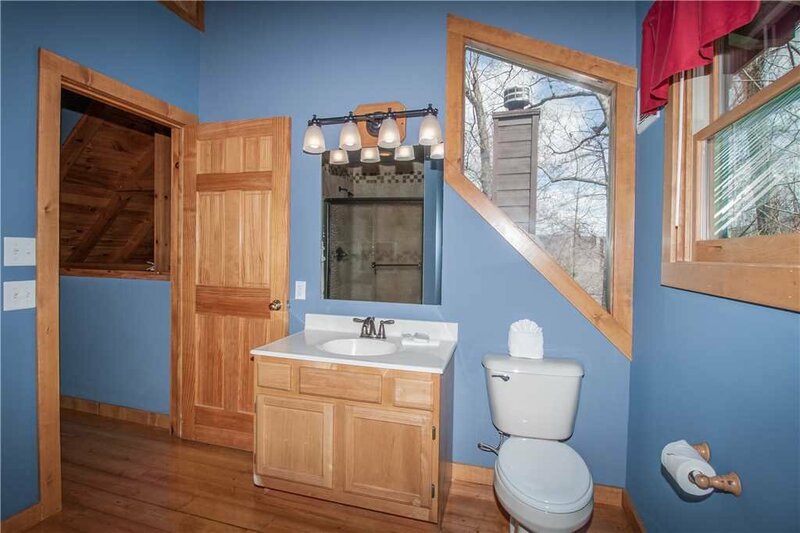 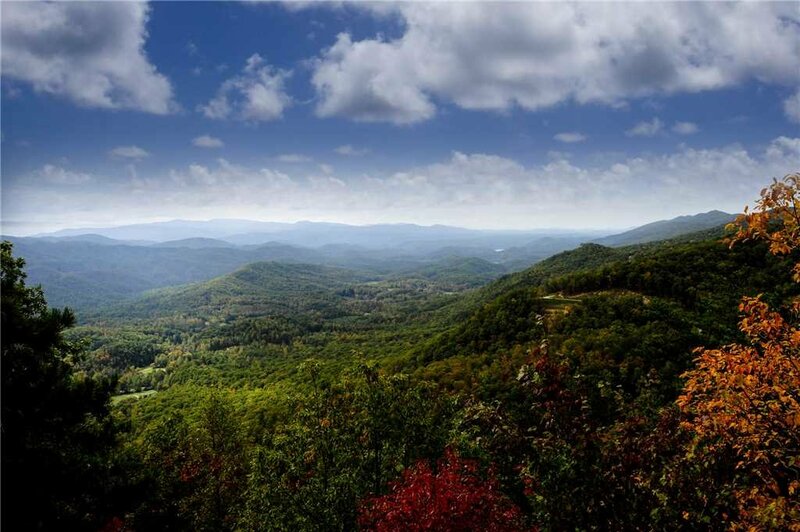 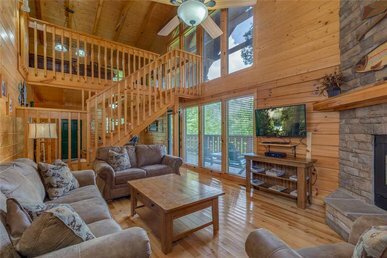 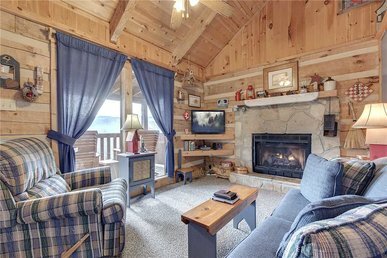 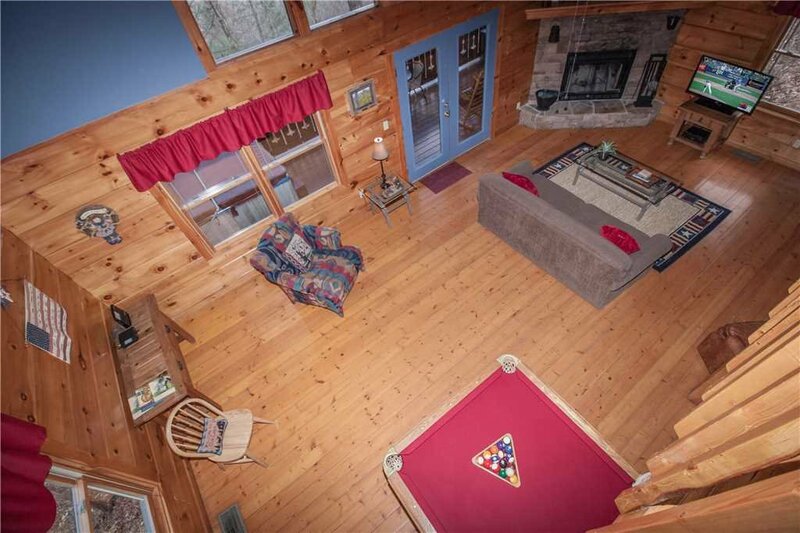 This cabin was built with ample windows to enjoy the Smokies in all their “Mountain Glory”.